Comment: As Moses goes up the mountain to wait for God, he and the Israelites are entering uncharted territory. Moses does not know what to expect along his journey or how long he will be up there. He is told to wait and to add to the suspense Moses is waiting on rules. These commandments God is about to give Moses will direct the community’s life in an unknown way. Erica Brown Wood writes “When facing a wilderness without markers that is fraught with potential danger, are we tempted to let fear overwhelm our faith?” (Feasting on the World. Year A Vol 1 pg 439). 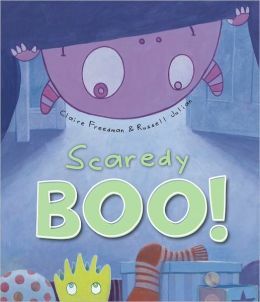 Freedman and Russell tell the story of a monster named Scaredy Boo who is afraid of everything.. One night Spike invites Scaredy Boo out to play with all the other monsters. Scaredy Boo is very cautious as he begins to explore with Spike, learning the names for everything they come across. As the night continues, his fear subsides and he allows himself to see joy and wonder in the night. Our scripture passage for this Sunday leaves us in the moment of the unknown. Moses and the Israelites are still waiting to learn what their future will be, but even without knowing how they will respond to the fear, we can begin to ask what our responses will be in moments of unknowns. Comment: “This is my Son, my Beloved, with whom I am well pleased.” (v17) All children (and adults) long to hear words of unconditional love and acceptance from adults. We can never hear these words enough. This is exactly what the church tells us in Baptism. God says through the church you are special. God says through the church you belong. God says through the church you will always be welcome. God says through the church I am proud of you. In You Are Special, Max Lucado helps Punchinello learn about and embrace this unconditional love and acceptance God offers to each of us through our baptism. In the town filled with the wooden people carved by the woodworker Eli, the wooden people show their approval or disapproval with stickers. Punchinello has found himself overcome with stickers of disapproval and struggles to see the good in him. He then travels up to see Eli who reminds him “you are special because I made you. And I don’t make mistakes.” These are powerful words in a culture that is quick to show approval and disapproval, and because these words are countercultural it is necessary for the church to say them as often as possible. 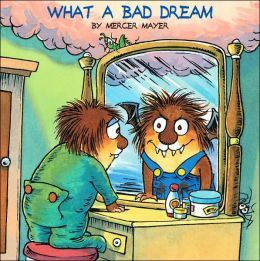 Comment: In What a Bad Dream Little Critter has a dream that starts out fun and exciting. He gets to do whatever he wants, and eat anything. As the dream goes on this way of living for him he pushes all those he loves and love him away. His joyful dream quickly turns to a nightmare. Little Critter finds himself all alone with no one to tuck him in or comfort him when he is frightened. Luckily he wakes up to find the comforting touch of his parents. In the Gospel reading we hear the account of Jesus being transfigured. Not only did Peter, James, and John see something miraculous happen to Jesus, Moses and Elijah were there. And to top it off out of nowhere a cloud appears speaking to them. No wonder they fell to the ground in fear. Like Little Critter it was the human touch that brought them comfort and relieved their fears. Children take notice when things are not quite right, and this passage gives them a tool to respond. Like Jesus, and Little Critter’s parents, we can offer our hand to people who are fearful and suffering. On the mountains of life we experience God in small and large ways. We will not have a life without fear and suffering, but in the simple gesture of a human touch we can glimpse God’s presence. We are happy to welcome back Elizabeth Boulware Landes, 2012 alumna of Union Presbyterian Seminary, as our Links writer for the next thirteen weeks. Elizabeth serves as Director of Children’s Ministry at Faith Presbyterian Church in Aledo, TX. Lectionary Links: Sunday, March 2, 2014 by Storypath is licensed under a Creative Commons Attribution-NonCommercial 4.0 International License.